Entertainment is in Jessica Rotter’s blood. One could say that she was born for this moment, given that she is the third generation of her family to embark on a career in the music industry. Her grandfather is known for having written songs and performed with legendary members of the Rat Pack, Frank Sinatra and Dean Martin. With a composer father and flutist mother, her ear has been in tune with music since before the age of one as she’d sing along with their practice of the major scales. It’s no wonder that she would develop into one of the City of Angels’ in-demand vocalists for studio and live performances. Between singing on the Grammy Awards and the competition series The Voice, as well as major motion pictures such as Pitch Perfect and Frozen, Jessica has developed a name for herself by working with the industry’s finest. That’s why this particular point in her career is so special. 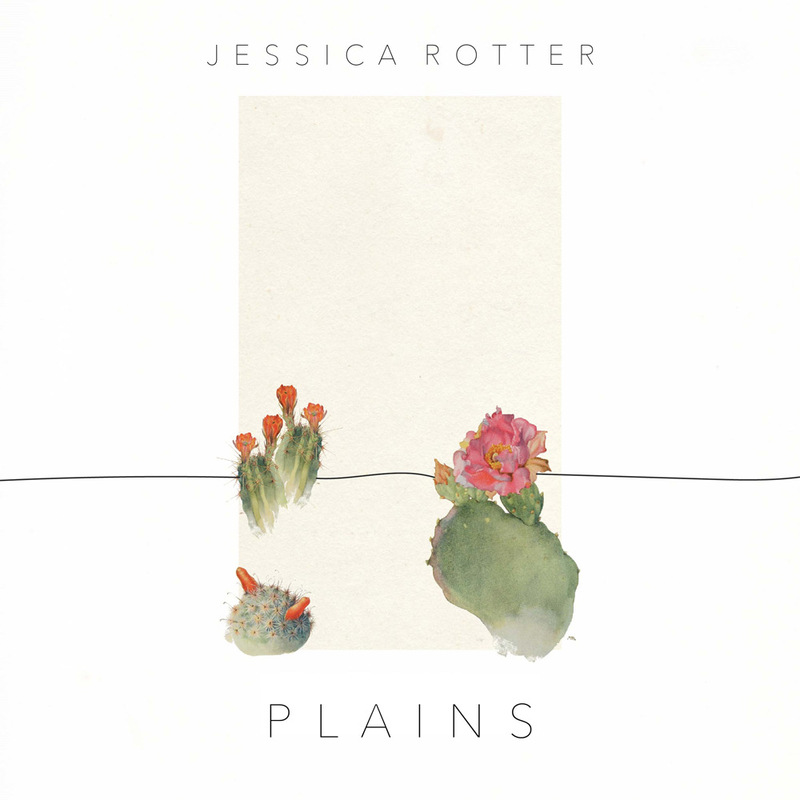 She’s not new to the game, but has finally taken the time to complete her own full-length studio album entitled Plains. For her, the accomplishment has been both crazy and satisfying. Working on this album has allowed Jessica the creative environment to find her voice as an artist, a journey that began during her time studying opera and musical theater at Pepperdine University. Considering herself a musical storyteller, Jessica created the mellifluous landscape of Plains with producer Cazz Brindis and soundmixer Scott M. Smith. The quality of the album has been described as stunningly cinematic with organic and raw vocals that complement the stories that unfold on each song. There is a polished nature that enhances Plains as a debut album, giving it a seasoned sound usually attributed to releases later in an artist’s career. However, given that she’s worked on these songs for a number of years, and having access to the industry’s best musicians, she emerges with a high-caliber work of art. With a soft and soothing yet strong voice, Jessica sings of love and faith, the joys of romance and the pain of having to walk away. The titles of the songs reflect an appreciation for being grounded and rooted with the elements of the earth and the wonderment of the atmosphere. This provides a certain poignancy as the album was released on Earth Day. Jessica Rotter offers lyrical gifts by referencing the sun and the stars, flowers and flames. The first single “Pray For Rain” is a mid-tempo song in which the uncertainty of relationship is likened to the California drought where there is necessity for rain to nourish. “Stars” unfolds with harmonized Americana spirit and soul that allows listeners to travel on the wide open roads of the west while gazing into the heavens. “Flying Off” paints a similar landscape that creates the sense of taking in the expanse of the interstate highways while driving off towards great American landmarks like the Grand Canyon at dusk. “Let Me Go” is a song that embodies navigating through the vulnerability of relationships, while “Flowers In My Head” is the flip side of that same vulnerability where the yearning of love settles into a mystical and ethereal song of love. “Porch Song”, the album’s finale, begins with her tender acappella vocals which blend into a heartfelt three-part harmony urging the listener to “free your mind”. The song is beautiful and compelling with its guitar-driven melody and introspective lyrics. It is the perfect way to draw the album to a close. As a matter of fact, you will agree that Plains is the type of listening experience that allows you to feel like you’re sitting on the porch of a hacienda drinking whisky on a warm night.